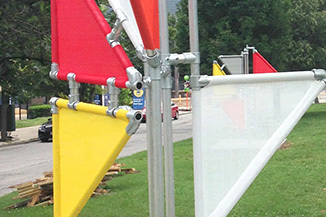 Stop by Baltimore, MD for Artscape 2015 to see BroLab's latest public installation. BroLab will have a project up as part of "Home Improvement" on Rock Street during the Bushwick Open Studios in Brooklyn, NY. BroLab presented a series of bleachers, tables and desks as part of their Interior Fair project for the Collective Conversations series at the Collective 2 Design Fair. BroLab is doing a series of workshops at El Museo del Barrio as part of the Museum Starter Kit exhibition. 6:30-8:30pm each night. Installation photos from solo show. 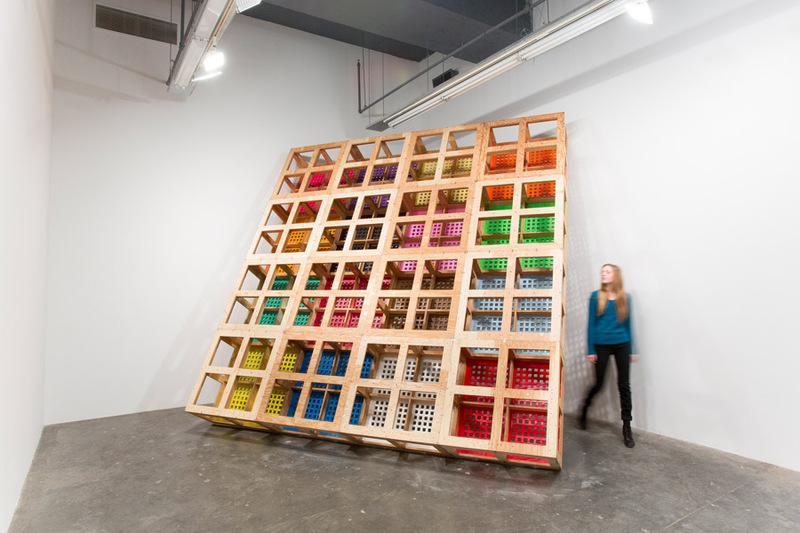 Moses Transpo, a new malleable installation was presented for the UNTITLED. Art Fair. A catalog of BroLab's work from 2010-13. Made possible by the Elizabeth Firestone Graham Foundation.